Futaba is a modern-day ghost town — not a boomtown gone bust, not even entirely a victim of the devastating earthquake and tsunami that leveled other parts of Japan’s northeast coast. 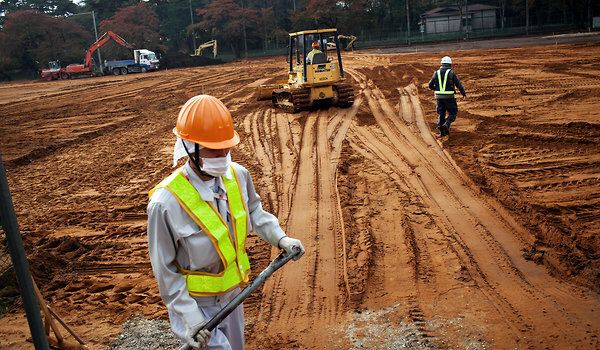 Some 90,000 people were evacuated from a 12-mile zone around the Fukushima Daiichi plant and another area to the northwest contaminated when a plume from the plant scattered radioactive cesium and iodine. Now, Japan is faced with a colossal challenge to cleanup the area for the displaced people could go back home.